The A4 Tidy Store is available in 4 bright colours making them ideally suited for the classroom or for any colour coded storage solution. Manufactured from strong corrugated fibreboard with a hinged lid design these storage boxes are easy to use and stack. They are ideal for storage of many small items and documents up to A4 size, can be used alone, or alternatively stored within the A4 Tidy Module. 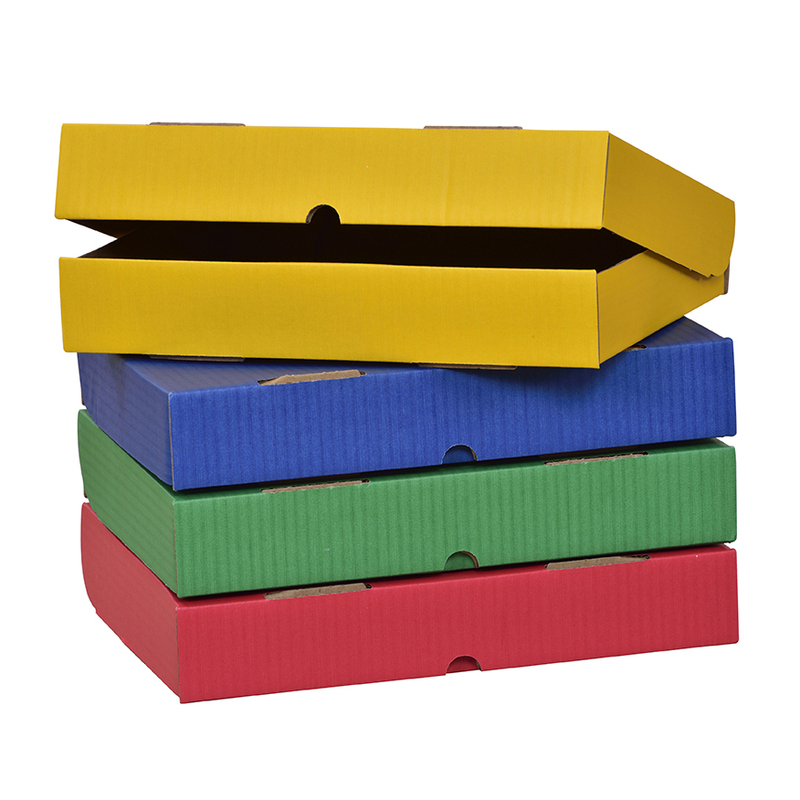 The A4 Tidy Store is available as a mixed pack of 12 (3×4 colours). They are supplied flat packed for efficient storage and are simple to assemble. Assembled dimensions: H50 x W315 x D240mm.